Morison Insurance and its wholly-owned subsidiary Tri-County Insurance are seeking a creative and talented digital marketing leader with a passion for technology to help propel our new digital marketing initiatives. 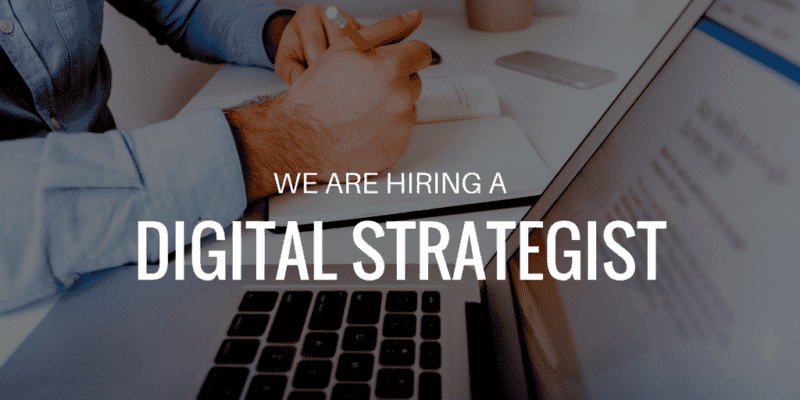 The Digital Strategist will play an important role in developing and implementing digital solutions that create exceptional customer experiences. This role will leverage expertise, analytics, and research to implement strategies that connect digital, social, mobile, email and our traditional channels. • Continually stay abreast of latest digital marketing industry trends. • Experience with Microsoft Office suite, WordPress or other Content Management Systems, email marketing systems, Google Analytics. You will have superior communication and marketing skills with the ability to develop and implement strategies, manage all digital channels and measure results to ensure a consistent client experience. You are able to create relevant and innovative branding strategies to support our clients’ needs. This position is a mix of strategy and execution that will require you to have a blend of technical, creative, analytic and project management expertise, as well as a high level of attention to detail. You have strong planning, organizational and time management skills to develop and implement a broad range of communication and marketing products and services that enhance our relationship with stakeholders. You must also be able to manage others, lead and inspire our marketing team. Morison Insurance and Tri-County Insurance are award-winning insurance brokerages that serve all of Ontario, and in particular areas in Southern, Niagara and Southwestern Ontario. We provide clients with personal and commercial insurance. We have seven offices and this position could be based out of the Hamilton or Norfolk areas. This position includes working with our staff in all offices. We are a team that works together and achieves together. We look forward to the right person joining our outstanding team of dedicated professionals. Morison Insurance is an Equal Opportunity Employer. We thank all applicants for their interest in this position; however only candidates selected for an interview will be contacted. Morison Insurance is committed to accommodating people with disabilities as part hiring process. If you have any special requirements, please advise the interviewer during the recruitment and selection process.